Rabbi Boruch Yehudah Gradon was born in England, where he first received advanced Rabbinic and Talmudic instruction at the Gateshead Yeshiva. He then progressed to the renowned Beth Medrash Govoha of Lakewood, New Jersey. Rabbi Gradon has served the Los Angeles community with distinction for over three decades, including twenty-five years in his capacity as Menahel Ruchani of the Lakewood Kollel in Hancock Park. 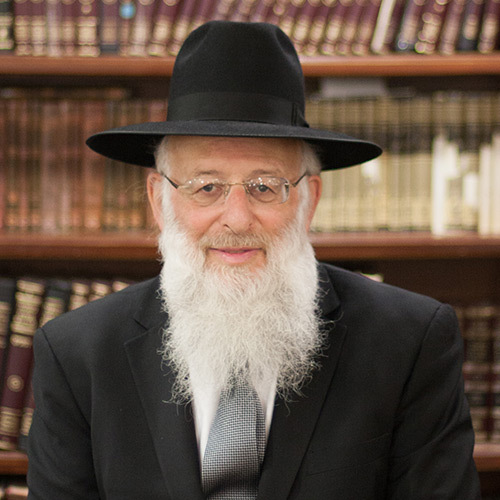 As the Rosh Kollel, Rabbi Gradon has been instrumental in establishing both the learning program for the Avreichim and creating the community outreach and inreach arms of the Kollel. His wife, Mrs. Esther Gradon, is a daughter of Rabbi Uri Hellman z”l, the well-known Menahel of Bais Yaakov Teachers Seminary in Brooklyn for over sixty years. Mrs. Gradon maintains the family legacy of devotion to Jewish education as a highly acclaimed Pre-1A teacher at Yeshiva Toras Emes. Several of the Gradon children have settled in Los Angeles, with the remainder living on the East Coast.